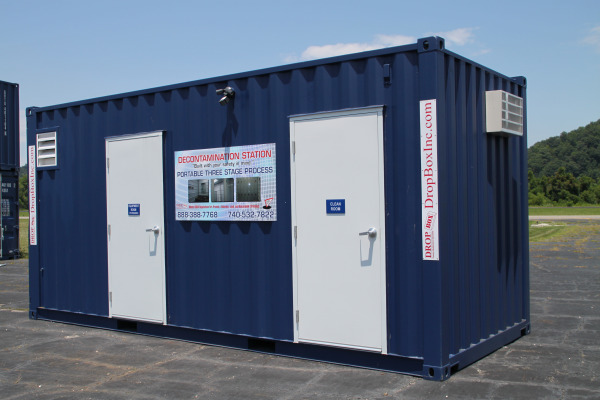 The Asbestos/Lead Decontamination Station is a three or five stage process that comes with a dirty/equipment room, a shower room, and a clean room. 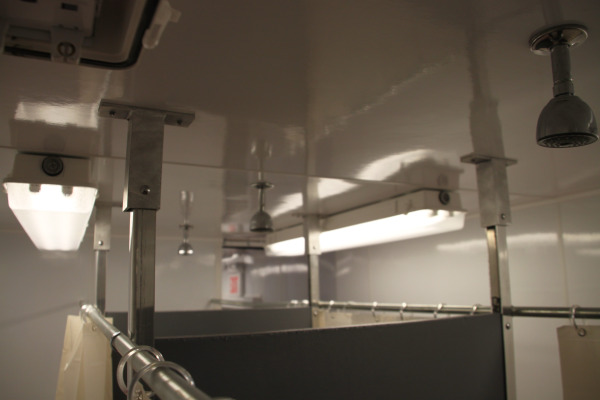 The dirty room, or stage one, of the decontamination process incorporates a sink basin, disposal waste canisters for contaminated personal protection equipment, and with HEPA Air Filtration. 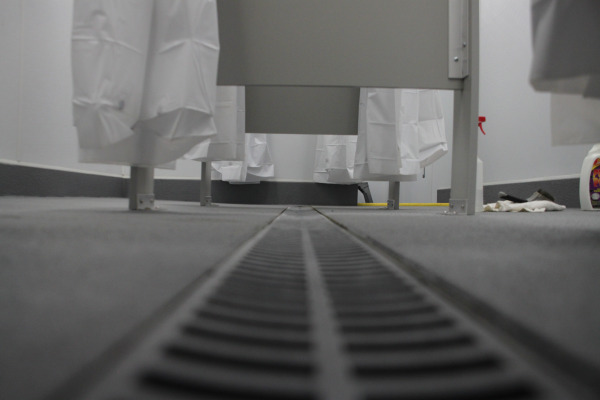 The second stage of the process, or shower room, comes with 4 individual showers for removal of contaminates. 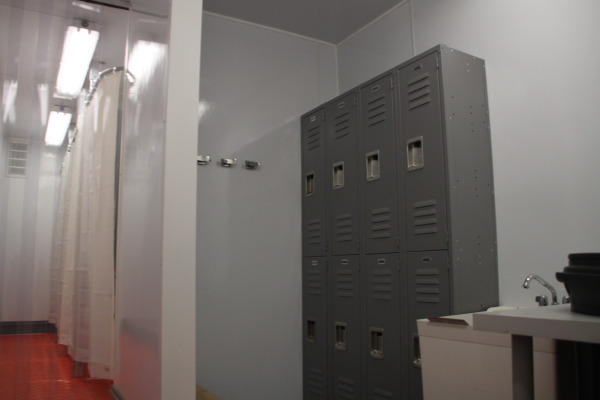 The last stage is the clean room that has lockers for the employees to store street clothes as well as new PPE clothing. Asbestos/Lead Decontamination Stations are designed so that they can be set up as a 3 zone or 5 zone unit through the use of 3 foot air locks located at the end of the shower room. The mechanical room houses (2) hotwater tanks, a lift station with a pump to push water through a set of Micron Filters (20/5) for water processing before exiting the unit. The entire unit is fully insulated with finished walls, flooring, over head lighting, and is climate controlled to provide employees the optimal environment to remove contaminates. 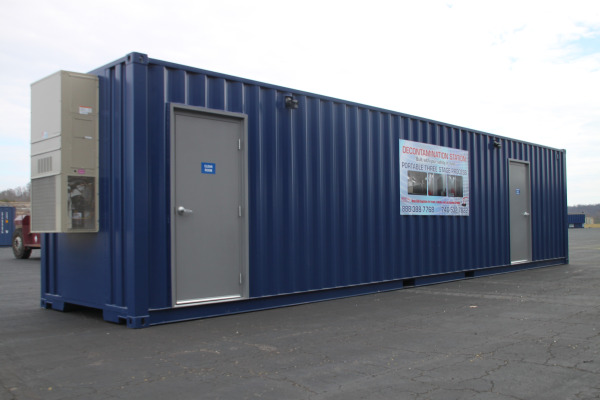 If one ISO Shipping Container doesn't have enough space to meet your needs ask Us about our Multi-Container Units.